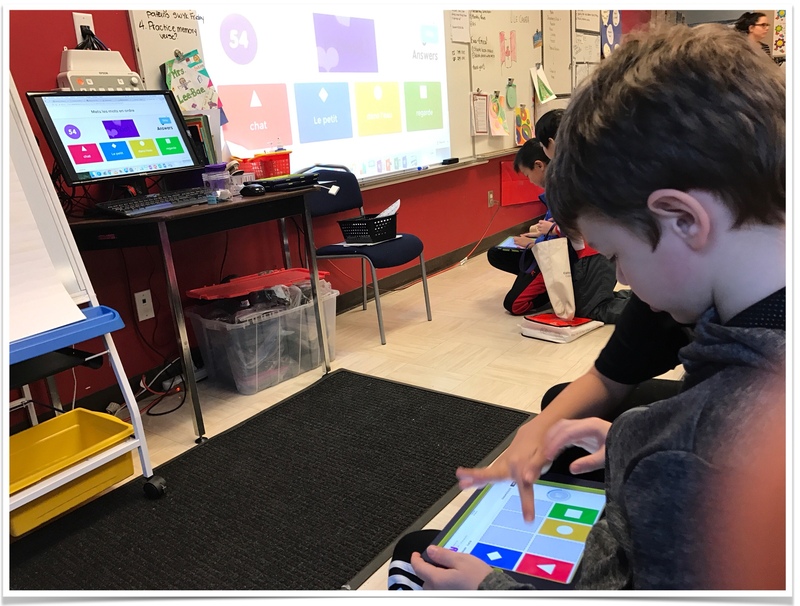 Many of you are already playing Kahoot, a wildly popular assessment game using any device plus a projector in your classroom. I wrote this post two (!) years ago about how all students would love Kahoot. There are now over 13.9 MILLION public Kahoots created! Very recently, the makers of Kahoot have recently come up with another game within Kahoot called Jumble. There are quite a few possibilities of question types with Jumble. 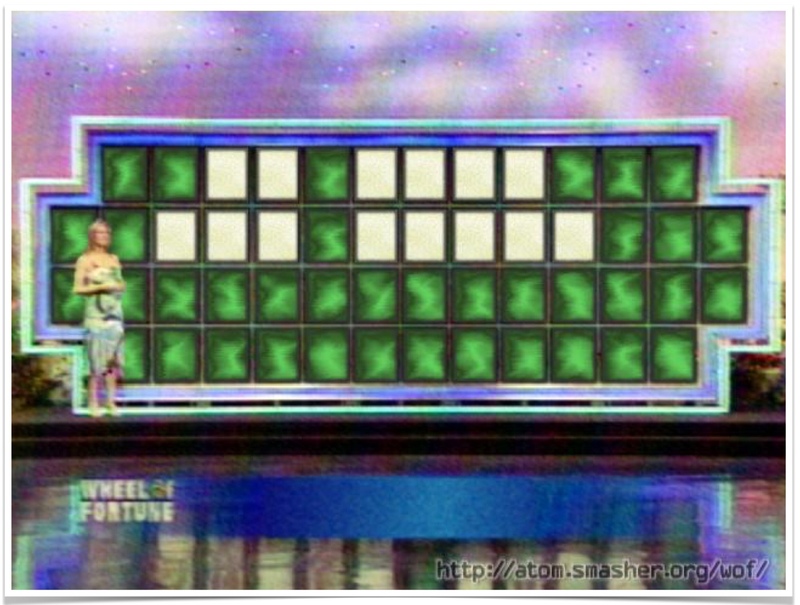 Students are now required to add some more effort into figuring out the answer, as opposed to just tapping the correct multiple choice answer. As a second language educator, I absolutely love this. Putting words in order is actually an activity that we do regularly as a class. Now, students’ grammatical skills can be put to the test in competing with their classmates. 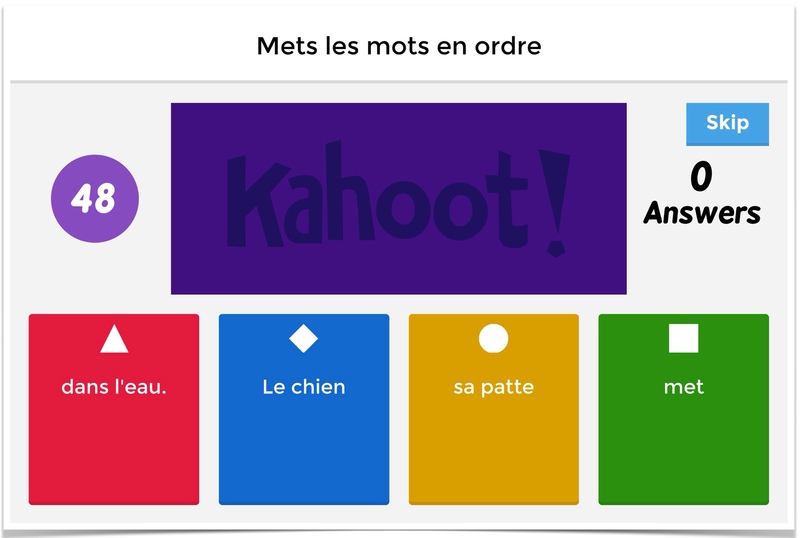 My students love playing Kahoot, but I make sure not to play it too often, as it needs to remain exciting. However, having the new Jumble feature definitely creates a “newness” to it. Students are definitely required to apply a little more thought. I was impressed by how fast they figured it out and were able to successfully put words in order. Even students who were typically shy quickly called out the correct order to their group within just a couple seconds. I encouraged them to whisper the answer to their group, and not give away the answer. After each question, teachers can see the exact percentage of correct answers. I have the entire class applaud each time they have 100%. Having 100% correct answers is equally satisfying for the teacher as it is for the students. 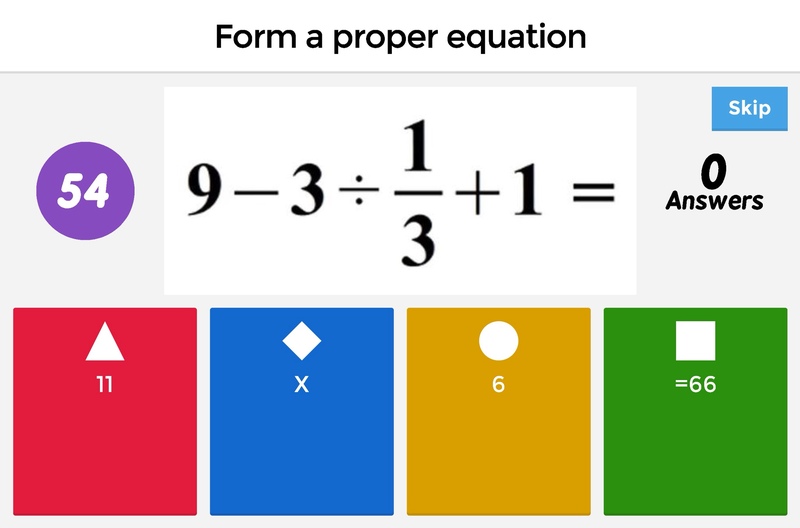 How to create a Jumble for Kahoot:Log in (or sign up) for a free Kahoot account at getkahoot.com. Follow the instructions to create a new Jumble game. 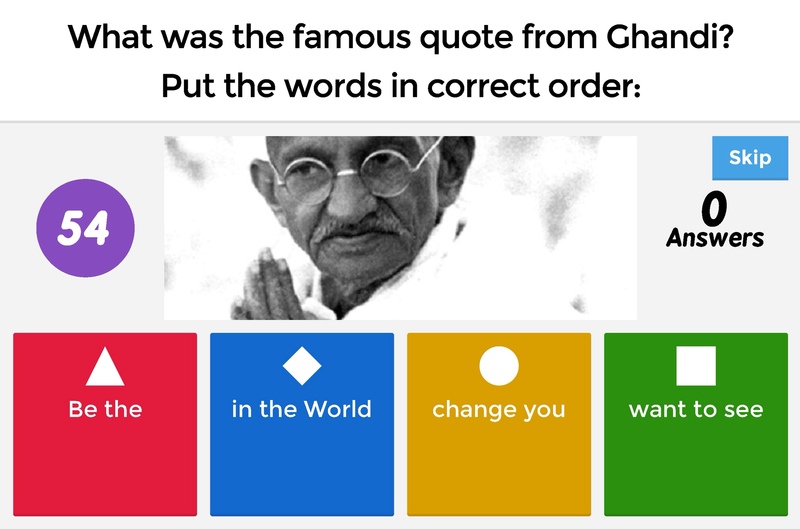 Put your sentences/answers in the correct order and Kahoot will do the rest. Also, for my jumbled sentences, I take out the punctuation (capital letters, periods) to make it a bit trickier. Creating jumbles doesn’t take long. 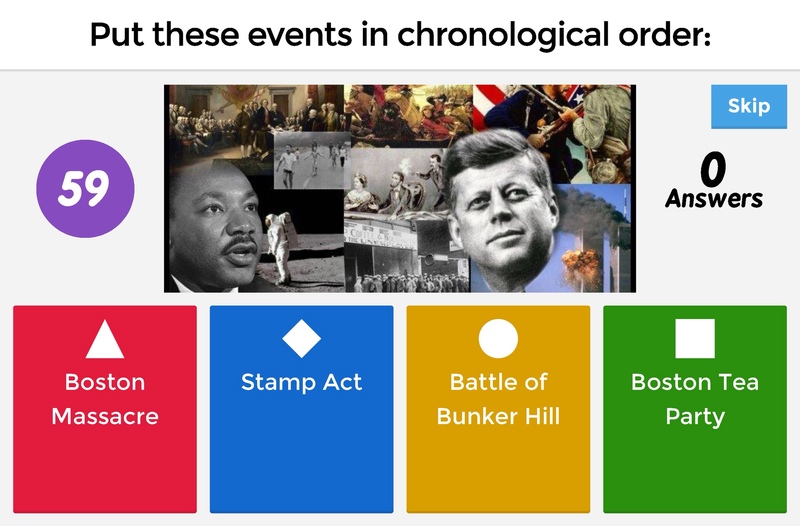 If you have the time, you can add related images to each questions as well. You can also set the maximum amount of time for each question. 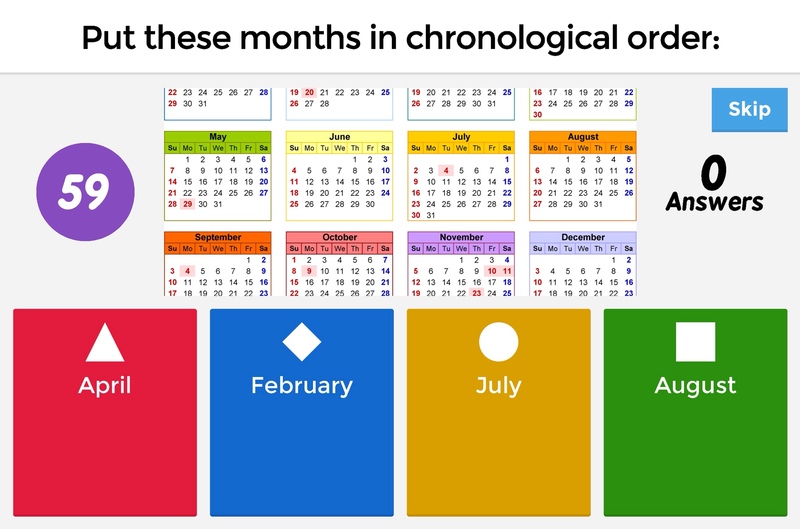 Make easier questions shorter, like 10-30 seconds, and harder questions up to two minutes. To play Kahoot with your students, all they need is any WiFi enabled device pointed at kahoot.it. Your game code will be made available as you press “Play”, and is easily inputted on the various devices. You will also need one device that is projected for the class to view the questions. 6. 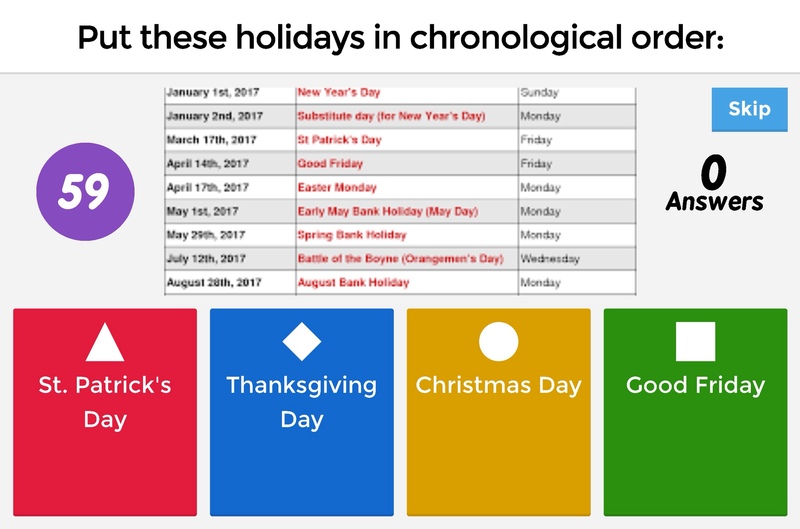 Students can arrange orders of annual events such as holidays, school events etc. What’s also great about Kahoot/Jumble is that teachers can go over answers each time they see a low percentage of correct responses. Teachers can take their time to explain difficult questions and use this time as a great teaching opportunity. I must admit I've had some glitches during some of the games I've played. 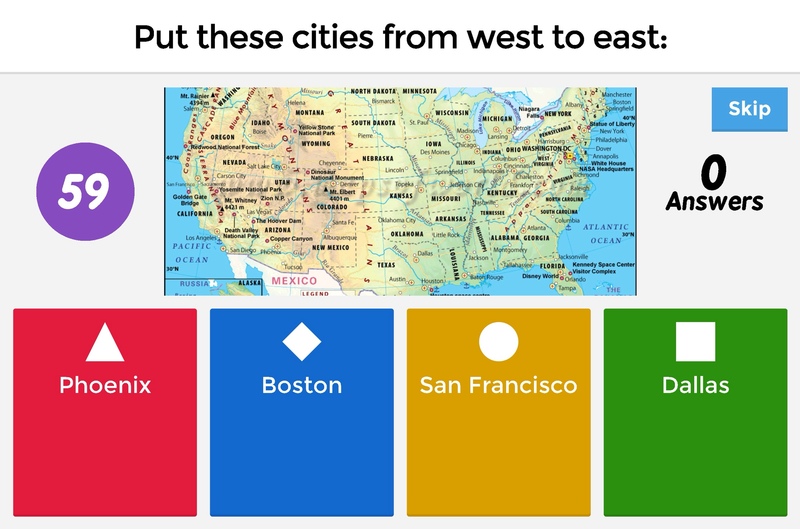 I'm not sure if it's Kahoot or my school network, but sometimes the iPads froze and didn't allow any movement of the tiles. The only solution was to refresh the page and re-enter the game code and screen name. Unfortunately, that forces the team to restart at 0 points. It would be great if there was a way to rejoin the game without losing any too many points (Quizlet Live has this feature). Give Jumble a try! It takes just a few minutes to set up. Let me know in the comments below what other possibilities you can see yourself doing with this! I can guarantee that your students will love this! It is a great way for student assessment, and your students won’t realize they’re learning lots while having so much fun at the same time. Next Post Use Quizlet to Play Bingo in your Classes! Thanks a lot. Last Friday we spend some time learning how to use this feature.